The details in the ceremony are very unique, and when I have the proper time, I can spend it capturing details like this. My clients held their ceremony at this beautiful venue the Charleston Marriott, located at 170 Lockwood Boulevard, Charleston, SC. 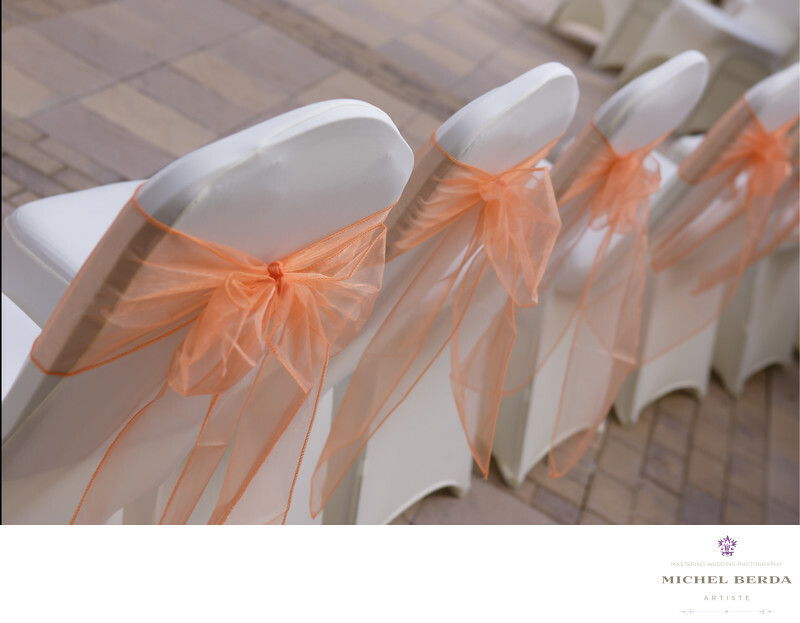 They spent a majority of their budget on details and decorating these chairs, just imagine the time it took on putting the covers on them then tying the perfect bow to every chair of about 170 family and guest.I knew as a wedding photographer and from the bride that making sure these chairs were documented properly by my photography meant the world to her. I captured this image from above giving the effect and demonstrating the decoration of these beautiful chairs, for this Charleston Marriott Wedding ceremony.